*Authorized Mohawk Dealer* Hessler Floor Covering has been a leader in the flooring industry in Southwest Florida since 1951 offering the best flooring at the fairest prices. With three convenient locations in Fort Myers, Naples, and Punta Gorda; Hessler Floor Covering is a great place to buy flooring in Southwest Florida. In addition to carpet, tile, hardwood, laminate and vinyl; Hessler Floor Covering offers a variety of other products for your home decorating projects including; blinds, window treatments, area rugs, mosaic back splashes, and kitchen remodeling. Hessler Floor Covering works with the top flooring manufacturers to offer the highest quality and latest trends in flooring. Hessler Floor Covering offers six months interest free financing. If you are in the market for flooring, be sure to visit one of our conveniently located showrooms; Fort Myers, Naples and Punta Gorda. Contact us today for a FREE consultation! 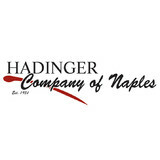 Hadinger Company of Naples is the premier source for home remodeling products and services in Collier and Lee counties. With more than 30,000 square feet of showroom space, we offer the largest selection of flooring and area rugs in the state of Florida, as well as vast assortments of custom cabinetry, counter tops, and more. Since 1931, the Hadinger team has provided professional design assistance to builders, designers and private homeowners looking to create warm, inviting spaces. With products that reflect taste, elegance, and value, along with award-winning customer service, it's no surprise that Hadinger is Southwest Florida's Choice Champion 14 years and running. It's been our pleasure to serve the flooring needs of the Southwest Florida area for more than 57 years. We have 5 locations in Collier and Lee counties. Each showroom has a full selection of carpet, hardwoods, laminate, vinyl, and ceramic, as well as window fashions. Our in-stock selection of flooring is the largest in the Southwest Florida area, in case you are in a rush! Our team participates in monthly training; sales, office, support staff and installers. We want to all be on the same page and give you the best possible service! We’re your family-owned, neighborhood flooring experts. Drop by and let us help you choose the perfect flooring for your particular home and lifestyle. We are one of the leading flooring stores in the SWFL area that does a full service retail sales as well professional installation of all our products. We have a very large selection of flooring and wall options second to none in the area. We have a very knowledgeable staff eager to help you with any challenge you may have with your project. We have combined staff know how of over a hundred years. Family owned and operated since 2002. 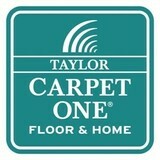 We are the number one flooring company in beautiful Estero. Our promise to you is not only the best quality materials and installation, but also a seamless process from start to the end. From choosing the right materials, timely delivery, and clean installation! We have a beautiful showroom right in the heart of Estero. Wayne Wiles Floor Coverings offers a variety of flooring options, and exceptional customer service. Island Floors has been servicing Cape Coral, Burnt Store Marina, and the Pine Island area for over 12 years now! We are proud to be a part of the community and look forward to hearing from you. Our business is providing quality Ceramic or Porcelain Tile,Travertine, Marble, Granite, Wood Floors and Wall tiles. Island Floors' strength is our commitment to providing quality product as well as unsurpassed service. We also have the best selection of Cabinetry, Counter Tops, Pavers, Shutters, Blinds and Shades, in wood or composite. Our tile flooring choices range from ceramic or porcelain to natural stone. Ceramic tile is durable, distinctive practical and easy to maintain. Ceramic and Porcelain tile is available in many different styles from textured and rustic to smooth and contemporary. Tile resists moisture, stains, and bacteria while providing a long-lasting and easy-to-care-for surface. Tile also allows for countless design possibilities. Natural Stone offers timeless beauty and elegance that is unmatched. We have natural stone for whatever application you may choose, such as flooring, backsplashes, decorative accents or medallions. Maintenance consists of an annual application of sealant to protect the surface from stains. We have solid Hardwood flooring and Engineered Hardwoods in a variety of wood species and finishes. Hardwood floors add a warm elegance and natural charm to any room in your home with lasting appeal. Aside from the traditional hardwoods there are dramatic possibilities of exotic hardwoods; bamboo, Brazilian cherry and many other bring an entirely new look to flooring. Laminate wood-look floor provides an upscale appearance with the characteristic of real wood, and bamboo. Easy installation and carefree maintenance make it a smart choice. We offer several different brands of carpeting, including Shaw, the leading manufacturer of carpet, with many styles of loops, patterns, textures and twists. Carpeting provides an option for nearly every purpose, decorating style and budget. We employ a highly skilled team of craftsman competent in their abilities to install floors that will last a lifetime. Our flooring design team is committed to our customer's satisfaction by using our knowledge and experience to ensure creativity and value in every project. Hadinger Flooring of Ft Myers, Florida was established in 1931. Hadinger is a family, locally owned and operated. We love to talk about Hadinger Flooring, but if you are pressed for time, here is the important thing to know about us: We’re a combined showroom space of 40,000 sq/ft and a warehouse that is 31,000 sq/ft. Since we’re a family owned business, that means we’re in it for the long haul – as in generations. Our customers are our neighbors and friends: members of our church congregations, people from whom we purchase our groceries, with whom we bank and fish. You get the idea. We do our very best for them. We make sure they get the best design service, sales expertise, floor covering products, and the best installation – all at a very fair price. We’re located in Ft Myers, Florida. We serve Serving Naples, Fort Myers, Cape Coral, Estero, Bonita Springs, Sanibel, North Fort Myers, Fort Myers Beach, Lehigh Acres and more! That says a lot about how our approach – our value and service – is working. Beyond operating an ethical business, and providing employment in our communities, we embrace opportunities to lead the way in making our communities stronger and better. We provide our expertise in support of Habitat For Humanity, and contribute to their ReStore project. We are also active commercial recyclers. We have a significant opportunity to keep material out of the waste stream through recycling worn and scrap carpeting. From laminate to hardwood and carpet to vinyl, Floor Meisters is your Naples source for flooring. We are family owned and operated centrally located in Naples, FL. With over 75 years combined in the flooring industry, we are here to serve your flooring needs. We specialize in carpet, wood, laminate, luxury vinyl tile, ceramic tile, porcelain tile and area rugs. We carry Legno Bastone, Mohawk Flooring, Naturally Aged Wood Floors, Kronoswiss Grand Selection, COREtec Plus, COREtec One, Stain Master, Stanton, and Couristan Carpets. Contact us today to get started on your next flooring project! Floor Coverings International is a boutique flooring company owned by David & Amy Blair. We have mobile showrooms, which allow our customers to choose their ideal flooring solution, for any and every room in their home, while being in their home. We help customers understand more about flooring types - their features and benefits - as well as show examples from our broad selection, that help provide ideas and inspiration for a perfect flooring solution. Whatever your choice, every project we do is customized. Flooring sets the foundation for the look and character of your whole home and we believe it is our responsibility to set the standard for service, quality and design! The 20,000 square foot showroom features products including broadloom carpet, hardwood, natural stone and tile. The area rug department has over 5,000 in-stock area rugs. Special orders are welcome. Our goal is to provide you with a world class experience. From our design through installation, our team of experienced professionals will give you the special attention that you expect and deserve. If you are looking for big savings, fast delivery and expert service on office furniture in Florida, look no further than Office Furniture & Design Concepts (OFDC). Florida's premier source for office furniture since 1974, we offer over 100 lines of both new and used high-quality furniture from the best name brands including Cherryman, Steelcase, JSI and Richelieu. Carpeting is subject to a significant amount of wear and tear, so it’s crucial to make sure a new carpet installation is done correctly, or that an existing rug is maintained properly. Enter Lely Resort carpet dealers. From carpet repair to custom carpet design, these professionals specialize in anything and everything that is carpeting, and can help ensure that your Lely Resort, FL home’s new rug starts off — and stays! — in great shape. Carpet dealers in Lely Resort, FL help homeowners choose the correct carpet covering for their floors, and also assist with carpet maintenance. This includes determining factors like material, carpet pile, durability, color and size, as well as helping with any custom carpet design. After completing the initial installation (which includes removal of the old flooring, if applicable, and surface prep), they may also handle follow-up maintenance requests such as carpet cleaning, carpet repair and carpet stretching. Carpet dealers might work closely with Florida contractors, interior designers and others in the home building and home improvement industry. Here are some related professionals and vendors to complement the work of carpet dealers: Interior Designers & Decorators, Design-Build Firms, Specialty Contractors, General Contractors, Home Builders. Find a carpet dealer on Houzz. Narrow your search in the Professionals section of the website to carpet dealers in Lely Resort, FL, and read reviews and ratings for pros in your area.